I know many of you are thinking, “wow, she really can’t spell”. Actually I’m trying to be funny. Now I know you’re thinking, “wow, she really isn’t funny.” And that’s okay because really I was trying to be clever. I know, I know…. Actually the new craft I want to try during my Quest46 challenge is dyeing fabric and wool with natural dyes. My interest in this was piqued while listening to a podcast by Jennifer from CraftSanity. She was interviewing Chris McLaughlin, who had written a book called “A Garden to Dye For”. 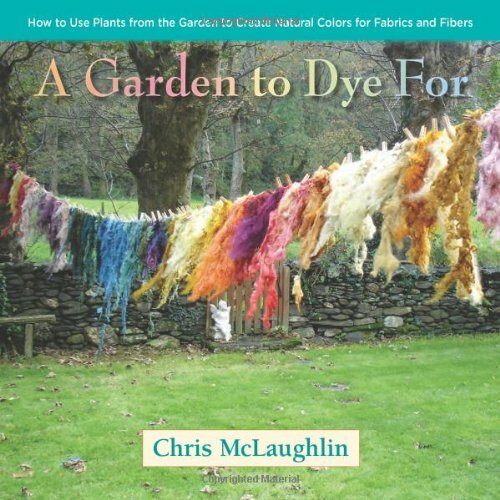 Here’s how the book is described, “Garden expert and dyer Chris McLaughlin profiles more than 50 dye plants that the garden-crafter can grow for an all-natural, customized color palette. This richly photographed book features garden layouts, easy dye techniques and step-by-step recipes – with fun, creative projects, like tie-dye, playsilks, watercolor paints, playdough and Easter eggs.” Just listening to Chris talk on the podcast about her passion for gardening that translated into this creative craft made me want to order the book immediately. I held off, though, knowing that I was going to make this one of my Quest46 projects. I’ve dyed wool using Kool-aid and really enjoyed the results, but the notion of taking flowers, onion skins or leaves and creating beautiful materials with them really appeals to me. I love the idea of using colors produced by nature and creating lovely things. Just like my ventures in soap making there is a chemistry component to this craft – with this I need to learn about mordants. I really just love the sound of that word. 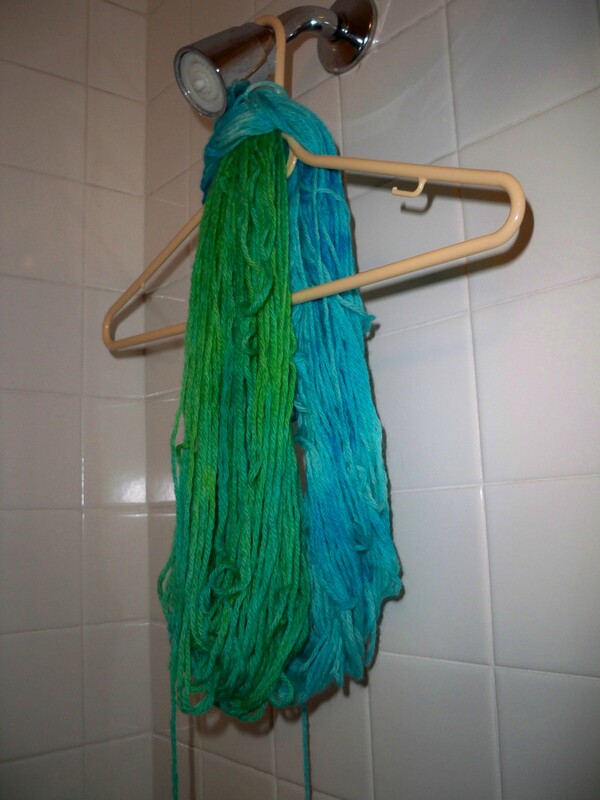 Item #21: Learn how to dye with natural ingredients. 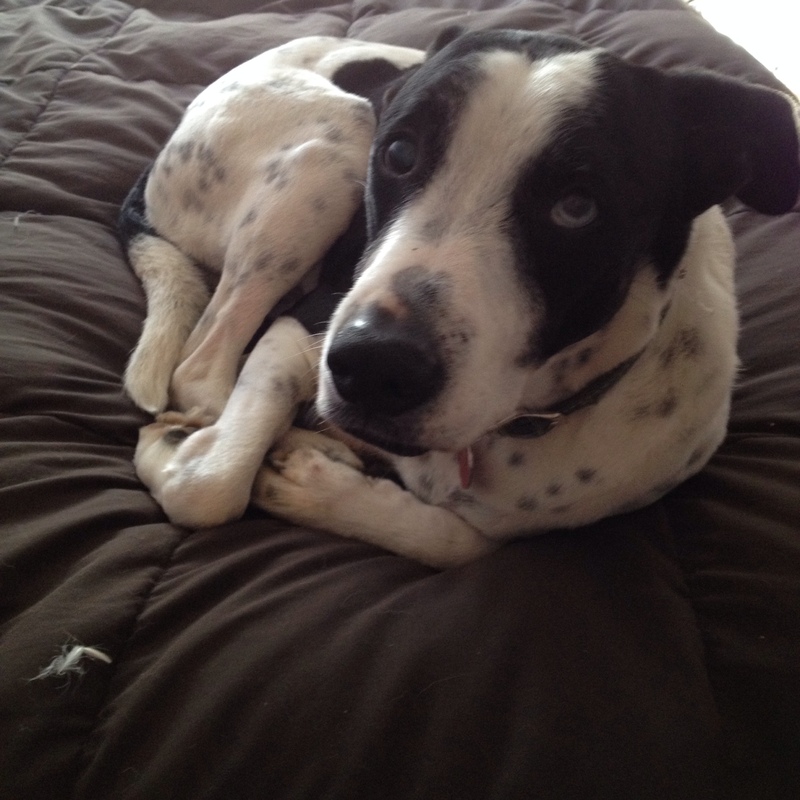 I’m even wondering if I can tie-dye cotton cloth for dog collars. Don’t know if it will work, but I’m certainly going to give it a try. Obviously I’ll blog about it ;-). Are there any new crafts you want to try? I’d love to hear about them in the comment section. Just so you know – blue’s my favorite color. 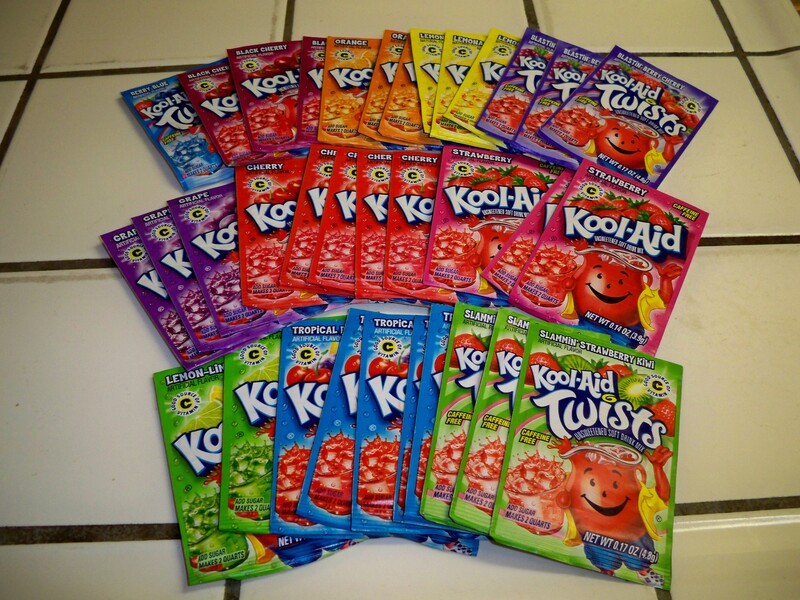 Keep that in mind when you get around to this dyeing thing. This entry was posted in Accountability, Education, Gardening, Goals, Homemade, Quest46, Yarn and tagged accountability, education, Gardening, goals, homemade, Quest46, yarn. Bookmark the permalink. I love my golf shirt dyed with spaghetti sauce and bacon grease. But, Lynn tried to throw it out. What? That’s art! I’d say art truly is in the eye of the beholder. I’ve bought the software, designs and some fabric and I want to try machine embroidery quilting but have not taken the first step yet is actually doing it. Afraid to fail! I certainly know that feeling, but what’s the worst that can happen? You have to toss a swatch of fabric? Your machine embroidery is so good, there’s no reason to think that you couldn’t master the quilting as well. Give it a go – I’m excited to see what you can do.